These simple patterns are perfect for shop kits – they are easy, the patterns are reasonably priced for kits, and small (about 4×5″). 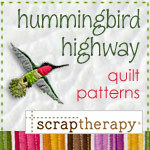 For these reasons, Hummingbird Highway does not sell them directly to quilters. 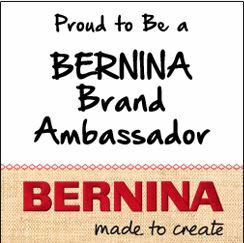 So, retailers, these are reserved just for you! 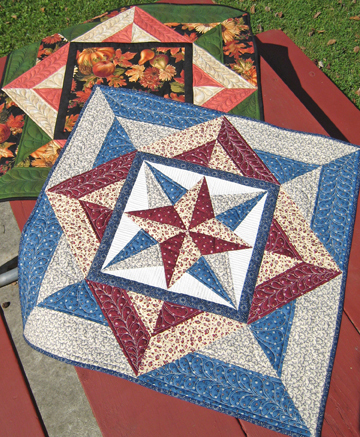 Some folks love the big blocks and quilt projects collected during a shop hop. Some prefer smaller projects. Why not offer a small project alternative? Substitute any 12″ block in the center (or a pretty focus print) and a manageable table topper is the result! Kit with coordinates that go with your shop hop theme, add the pattern and . . . Wow! Note: pattern does not include star block pictured in center. Eight half-yard cuts and a pattern. Super simple. Great for kits using large-scale contemporary prints. What are you waiting for? 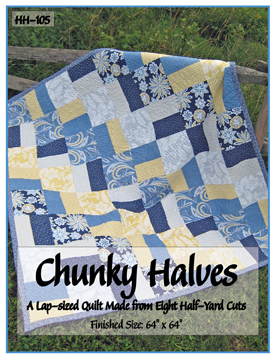 Basically the same idea as Chunky Halves only using fat quarters. Sixteen of them. A terrific go-along with your fat quarter collection. Having a Fat Quarter Event? Then Chunky Quarters is the ticket. Finished sizes vary. 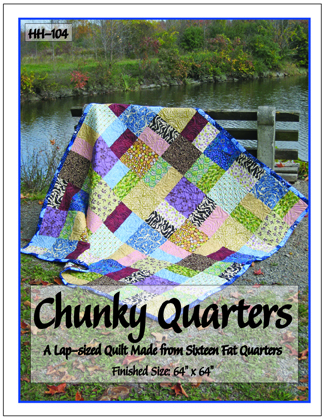 This small quilt pattern series is intended to drive traffic to your store. . . again and again. You provide the fabric, Hummingbird Highway provides everything else, including patterns and packaging – all at an amazing price. 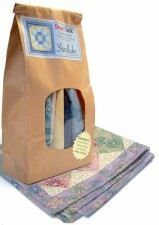 The Kit Packs are only available to independent quilt shops.